Dev has qualified as a 'Visualy impaired Guide Runner' and as a 'Leader in Running Fitness instructor'- (LiRF), with UK Athletics and now runs the Sports Partnership - Herefordshire & Worcestershire, 9 week Couch to 5K running programme several times a year at Pershore Leisure Centre C25K Pershore. The next C25K course begins on January 7th 2017 - March 4th 2017 at 9:00 am. Week Nine of the course finishes with the 5K run at Evesham Park Run - which is celebrating its 100th event that day. Booking is available through Pershore Leisure Centre: - 01380 552346. 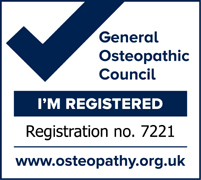 Dev Naraine - Principle Osteopath at Pershore Osteopathic Practice has joined Worcester Complementary Health Centre - WOCOH as Associate Practitioner to provide Osteopathy and Sports Injuries therapy at the 174a London Road practice in Worcester. Please enquire if this location is more suitable for you. If you are a Sports Club or Company and would like to develope your membership package or EAP, Pershore Osteopathic Practice would like to offer you a discount on all follow up appointments. We have run this scheme for 5 years and it has worked well. At Worcester Complementary Health in Worcester we are promoting Multi Couch treatment sessions for Acupuncture. This means the fixed price for the room, practitioner and treatment is as normal but the fee can be shared. This community approach is standard practice in China but is still a bit unusual in the West. This mode of treatment is working well amongst families and friends and with the treatment of more common conditions.